Our guide is intended to help homeowners approach the sale of an abandoned or derelict property. Of all the different types of property we come across, we find it’s dilapidated houses that interest people the most. The intrigue of how the property fell into a poor state of repair captivates the imagination. And the opportunity to make something good out of something currently unused is an exciting prospect. This article deals with the subject of owning, maintaining and selling a derelict or dilapidated property, with a particular focus on selling at auction and tips on how to achieve the best sale price. 4. Who buys dilapidated property? 7. Why do dilapidated properties sell for higher prices at auction? If you’ve recently taken on the responsibility of managing a dilapidated property, the chances are the property has been neglected due to either; a legal dispute, a deceased estate, repossession, bankruptcy or the owner cannot be found. The vast majority of dilapidated properties that we’re called to are now in the hands of the executors of a deceased estate. Not all probate or inherited properties fall into a poor state of repair but many do because the owners have not been able to keep up with repairs. There are also situations where the owner has died and there have been complications with the will (or the owner died intestate) so the property cannot be sold, in some cases for many years. 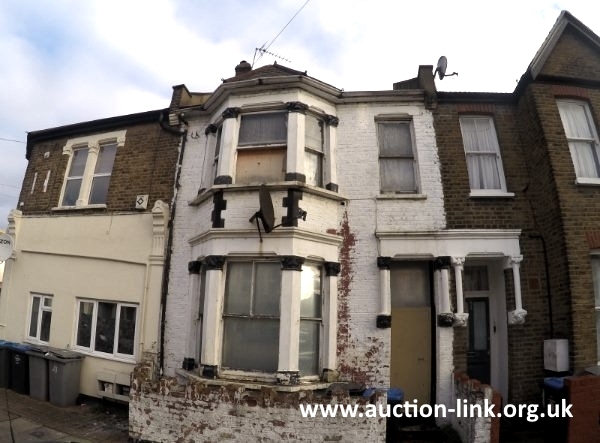 What price do dilapidated properties sell for at auction? Request a valuation and auction estimate and find out more about selling at auction. It’s not unusual to see abandoned properties such as the one above remain untouched for many years. Often legal complications regarding ownership rights mean derelict properties cannot be sold. It’s one thing for a house to require modernisation, but when left to decay over time an abandoned property can become more of a liability than an asset. If a property is left empty and neglected for long enough it will eventually begin to deteriorate – a leaky roof turns into damp, which turns into rotten timbers leading to a collapsed ceiling. Similarly, the knock-on effect of not fixing a broken window can eventually lead to squatters or vandalism. Most owners of derelict homes would sell straight away if they had the choice, but there are often legal complications that make it impossible to sell or even rent the property. So instead, the issue becomes one of maintaining the property to ensure it’s kept as secure as possible, both physically, financially and legally. Dilapidated property in North West London fitted with Sitex security shutters. If you own a dilpidated house but are no able to sell straight away, you might find the following sections to be useful when planning the security and maintenance of the property. Protecting against title fraud: Vacant properties, particularly where there are no mortgages or charges secured on the property, can be vulnerable to title fraud – meaning someone could sell the property or secure a loan against the property without the owner/trustees/executors knowing. It’s important to let the Land Registry know your up-to-date contact details, so they can alert you if someone tries to secure a charge against the property. 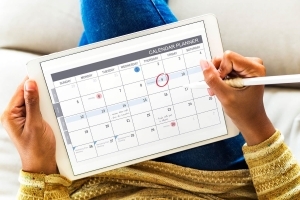 This is something your solicitor will be able to organise for you. You can also sign up to the Land Registry’s fraud alert service yourself. Insurance: Insurance premiums are in the region of 3 times higher for vacant properties compared to occupied properties, because when a property is empty there is no one immediately on the scene to attend to a fault; if a water pipe freezes and cracks the water damage would be a lot worse for a vacant property because it wouldn’t be attended to very quickly. Also vacant properties are more prone to vandalism, break-ins and fire damage. It’s important to make sure your insurance cover is up-to date and all steps are taken to protect the property as per the requirements set out in the insurers policy, these typical include things like; draining down the water system, turning off the electricity, sealing the letterbox and inspecting the property at least every two weeks. Security: In most cases it will be a condition of a vacant property insurance policy that the electrics are turned off, so that makes lighting the property difficult. However, it’s sometimes possible to have an external battery/solar powered security light to deter would-be trespassers. For long-term vacant properties, it can be advisable to install sitex security shutters in the windows, these are steel panels usually with small holes to allow for light & ventilation. Keeping the property water tight: The real problems begin to occur when the inside of a property is exposed to the outside world. It’s not just the risk of water leaking into the property that can cause problems, we’ve seen cases where birds have made the property their home, bringing in materials (e.g. twigs, leaves, plants etc) to build their nests that have eventually resulted in trees growing in the upper floors! That obviously takes place over many years, but it shows how important it is to make sure any holes, gaps or openings are dealt with as quickly as possible. Utilities: It’s advisable to insure any property, but as mentioned above it’s especially important to insure a vacant property. If you do insure a dilapidated house you will be instructed by the insurance company to turn off or disconnect utilities (e.g. water, gas, electricity). If you don’t have any insurance cover, it’s a good idea to disconnect utilities anyway. If the gas supply is left connected and no one is in the property to notice the smell of gas, it could be days before a neighbour notices, by which time it might be too late. Neighbourhood watch: There doesn’t have to be an official “neighbourhood watch” scheme in place for the neighbours to keep an eye on your property. Even if you don’t know your neighbours it can be a good idea to send them a letter advising them to contact the police if they notice any suspicious activity. Regular inspections: As a general rule, if you’re responsible for a derelict property you should ensure an internal inspection takes place at least every two weeks. For insurance purposes, you will need to keep a record of the inspections too. If you live some distance from the property or just find it’s difficult to manage, then it can be a good idea to pay a keyholding company to make inspections on your behalf. For high value properties, it can also be worth considering the services of a “live in guardian” to keep the property occupied. There are countless stories of squatters taking over prime London properties that could have easily been prevented if tenants had been able to live in the property. Dilapidated property – keep gardens as clear as possible. 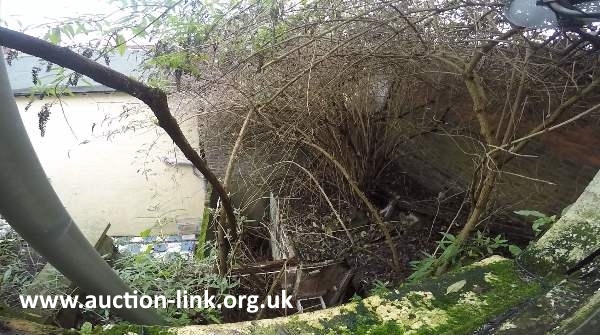 Outside areas: The photo above shows the overgrown garden of a derelict house in the wintertime, a clear sign to any potential squatter or vandal that the property has been neglected and probably empty. Wherever possible, cutting trees and bushes down for good will save in the longer term, rather than paying a gardener to regularly maintain the outside of the property. Keeping gardens clear also means external doors and windows are visible to neighbours and passers by, which helps prevent against break-ins. It’s not only the derelict property itself that risks deteriorating in value; it can become a problem for the neighbourhood too. Hometrack, the housing and mortgage market analyst estimated that a house put up for sale next door to an empty property would fetch 18 per cent less than would otherwise be expected. Your options for selling a dilapidated property are slightly restricted compared to selling a normal/serviceable property. The restriction comes down to the fact that most mortgage companies will require a property to be “habitable” before they consider lending to a prospective buyer. The general rule is that if there’s a functioning bathroom and kitchen and nothing majority adverse then the property will be suitable for mortgage purposes. 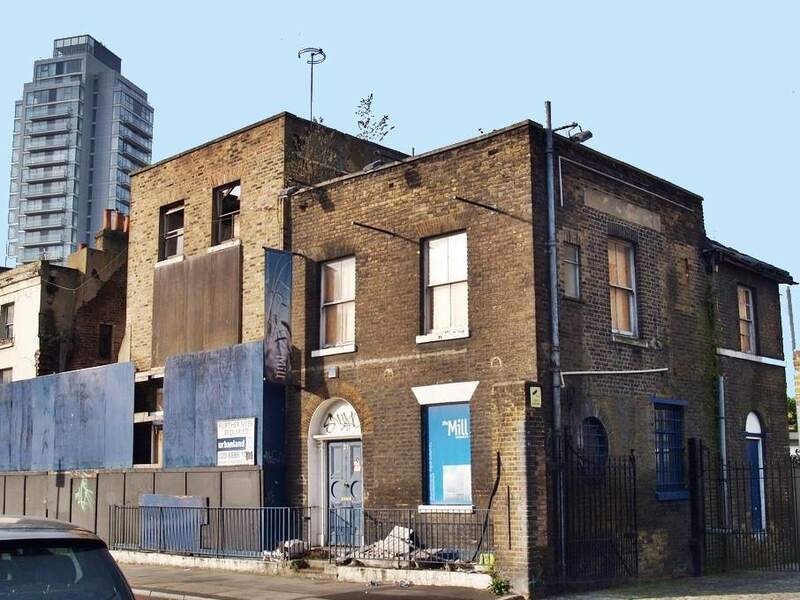 Most derelict properties are not habitable and mortgage lenders will respond with a firm “no” to any prospective buyer’s application for financing. Therefor an uninhabitable, derelict property will require a cash buyer, be that a straight cash purchase or a bridging loan. This clearly limits the audience of buyers, so to counter this problem, some property owners attempt to bring the property up to a “mortgage ready standard” by fitting a cheap bathroom and kitchen, or patching up the property. The belief being that they will be able to sell for more money if prospective buyers can obtain mortgage financing. From the sales of dilapidated properties that we’ve seen, attempting to make the property “mortgage ready” doesn’t really pay off. In reality it doesn’t take much for a prospective buyer to obtain a mortgage within a few weeks of purchasing the property, in the meantime they can finance the purchase with a bridging loan or a special “developers mortgage”. In our opinion there is no point in a seller carrying out any work to the property prior to sale, most prospective buyers want a clean slate to work from, and if the property is down to its bare bones, so much the better. We’ve seen cases where a seller has installed a new bathroom, kitchen and heating system in order to make the property mortgage ready, only to see it all removed by the new buyer within days of their purchase – what a waste! Before looking at the best routes for selling a dilapidated property, it’s worth considering the type of person or company that buys rundown property. We’ve categorised these buyers into 3 types: (1) professional developer (2) amateur diy’er (3) owner occupier. The purpose of doing this is to consider what price you can expect to sell for and in what timescale, for different types of buyer. 1. Professional developers will typically be the quickest to complete on a purchase because they’re familiar with the process of buying rundown properties and won’t put up a fuss when an issue arises in the survey (if they have one) or during legal enquiries. 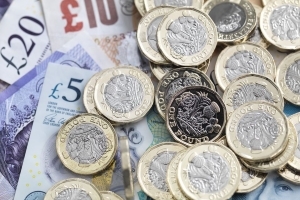 The price offered by a professional developer will usually be less than the price offered by an amateur diy’er or owner occupier but you can be confident their offer price won’t change, that’s because the costs for a professional developer to refurbish a property will usually be accurately calculated; they will take into account the full costs of works from day one. In practice the cost for a developer to refurbish a derelict house will be considerably lower than any other buyer because they know how to source cost effective labour and materials. 2. Amateur diy’ers describes people looking for a project, who may not have the experience or infrastructure of a professional developer. These buyers usually might treat property refurbishment as a side-line. The offers made by amateur developers are often quite ambitious because they don’t account for their own time and a prone to underestimating the full cost required to bring refurbish a property. 3. Owner occupiers are buyers who intend to live in the property. Of all the different types of buyer, owner occupiers offer the highest purchase prices because they’re not looking to make a profit. They will still account for the cost of work, but will often underestimate the cost based on a builders initial estimate – which tend to be low to start with. There is also a strong emotional drive for owner occupiers; where as a developer might rule out a property because the numbers don’t add up, an owner occupier might have dreamed of living in the street because it’s close to family etc. We’re often surprised how even the biggest wrecks are bought by owner occupiers, with little or no experience of property development. Selling a dilapidated house with an estate agent or auction? In general, there are two routes to selling property in the UK; the most common route is known as a private treaty sale and this is the type of sale you enter into when using an estate agent. The other route is public auction. 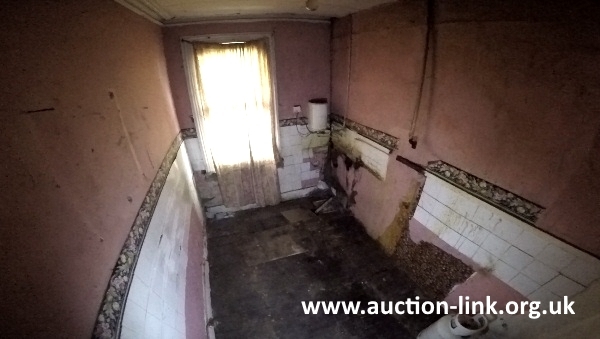 We’ll look at the pros and cons of selling a dilapidated property with an estate agent and through auction. When selling with an estate agent, the property will be listed on the main marketing channels (e.g. property portals such as Rightmove and Zoopla) and prospective buyers will be given an indication of what price the seller is expecting, known as the asking price. In the case of the sale of a dilapidated property through an estate agent, the marketing will attract interest from property developers, amateur diy’ers and ambitious owner occupiers. Theses 3 categories of buyer are discussed in more detail above. 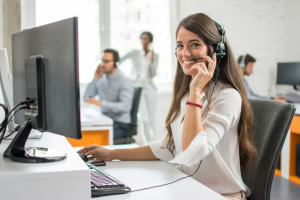 Most of the time vendors accept the highest (but unrealistic) offer without questioning the background of the buyer or their credibility – that level of offer usually comes from an owner occupier for the reasons described above. It’s understandable that a vendor would accept the highest offer, just as long as it materialises to a completed sale. But the problem with accepting an unrealistically high offer through a private treaty sale is that the buyers’ initial excitement turns into doubt and fear over the course of a few months, usually when they realise they’ve bitten off more than they can chew. This leads to the buyer either withdrawing or lowering their offer to a more realistic level – known as gazundering. Unfortunately, with private treaty (estate agency) sales the buyer is free to walk away or reduce their offer at any point up until exchange of contracts. Even when selling to a professional buyer (e.g. a property developer) it’s not uncommon for the price to be revised downwards as new information about the property comes to light. Legitimate price reductions happen all the time with private treaty sales – if your research or survey results identified an issue, causing the property being worth less than your initial expectations, reducing your offer price is the only sensible thing to do. The truth is that dilapidated properties don’t sell very well with estate agents – offer prices either end up being reduced or buyers walk away. 1. Capitalises on the excitement of the optimistic buyer. 2. Eliminates the risk of gazundering and the inefficiency of private treaty (estate agency) sale. 3. Creates a competitive bidding environment. Unlike a private treaty sale, when bidding at auction the buyer cannot rescind their offer. So the offer from “ambitious owner occupier” is very much alive – there is no time for them to walk away or reduce their offer. And unlike a private treaty sale, at auction, offer prices can only increase. 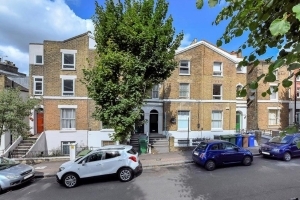 For a popular property there might be as many as twenty prospective buyers bidding against each other, each driving the price up to their maximum bid. Putting all the prospective buyers in a room together also adds a sense of competition that’s difficult to replicate through a private treaty sale. Selling a property in poor condition? Find out why selling through an estate agent could be the worst decision you make! Read more. If you’re ready to sell a dilapidated property at auction, you’ll find the following tips helpful for ensuring you achieve the best price in the shortest possible time. In terms of the property itself, the only preparation required is to make sure prospective buyers have access to all parts of the property for viewings, so it’s a good idea to clear away any rubbish if possible. If there are any parts of the property that represent a health and safety risk e.g. gaping holes in the floor or anything liable to falling from the roof, then you should make the auctioneer aware. The most important preparation when selling at auction is to ensure the legal pack is complete at least one week before the auction. You can find out more by viewing the auction legal pack section of our website. It’s not uncommon for vendors to be swept off their feet when an estate agent tells them their property is worth considerably more than they imagined. So, when an auctioneer suggests a reserve price that’s on the low side, or at best realistic, the average vendor tends to favour the estate agent over the auctioneer. However, as discussed above, in the longer term the asking price suggested by the estate agent doesn’t really mean much, as prices get chipped away over time and the eventual sale price typically ends up much lower. With auction on the other hand offer prices only increase. The auction reserve price is the minimum price a seller is prepared to accept, but with the right auctioneer you can be confident that the sale price will far exceed the reserve price. Don’t be too concerned about setting a low reserve and guide price, just make sure it covers your costs in the worst case scenario. Read more about auction reserve prices. It can be tempting to accept offers before auction day, especially if you’re keen to offload responsibility for the property to someone else. But in our opinion it’s always better to hold out until auction day and let bidders fight it out for the property – that’s how you achieve the best price. Read more useful tips for selling property at auction. Why do dilapidated properties sell for more at auction? 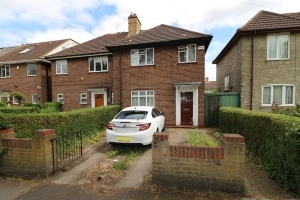 As mentioned above, there are 3 key advantages that an auction sale has over an estate agency sale when it comes to selling a dilapidated property: auction capitalises on the excitement of the optimistic buyer, it eliminates the risk of gazundering and creates a competitive bidding environment. In addition to this, prospective buyers are engaged in the process; they have committed time to carry out research, they may have incurred some cost in carrying out a survey or instructed their solicitor to review the legal pack. They may also be emotionally committed (as people usually are when they buy a property). And lastly, it’s worth remembering the supply of properties to fully refurbish is quite limited, so when one does come up for sale there’s always a very high level of competition, especially for properties in good locations. When that competition comes to the auction room, that’s when record breaking sale prices are achieved! Next steps – request an auction sale estimate? Owning a derelict house can often be quite a daunting responsibility as they’re particularly vulnerable to break-ins and vandalism. This section provides guidance on how to maintain a derelict property and explores the best options for selling.